Like every main city, there is a center in Budapest too which is a great place to connect to the locals. It does not only mingle people from different walks of life but gets history, entertainment, culture and gastronomy under one roof. 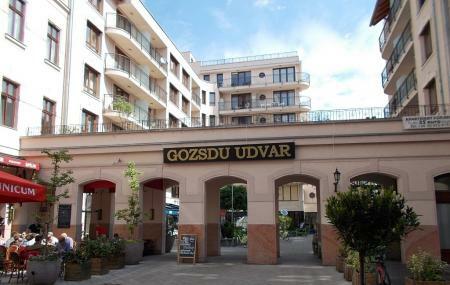 With a very glorious past and a strong association to the Budapest history until the 20th century, Gozsdu Udvar has become one of the most frequented places for tourists and locals alike in downtown Budapest. The entertainment center is always bustling with people because it keeps hosting a variety of events for you to attend. It gives the quaint and quiet Budapest the lively edge in many ways. There are more than 10 lakh visitors that frequent this place every year and it is a great place to go and unwind. You can visit the place any time of the day. How popular is Gozsdu Udvar? People normally club together St Stephens Basilica and Budapest Operetta Theatre while planning their visit to Gozsdu Udvar.